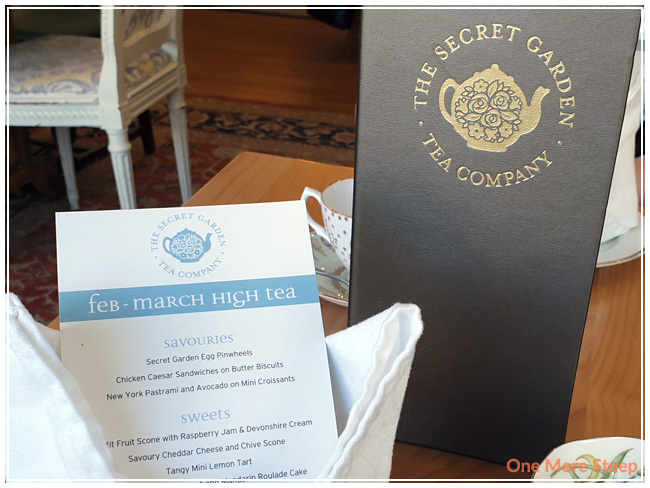 I recently went to High Tea at The Secret Garden Tea Company, which is located in the Kerrisdale neighbourhood of Vancouver, BC. This lovely location boasts both of a shop section and a dining section, with seasoning high tea menus that change every couple of months. I went in March 2019, so the food selection is different now. 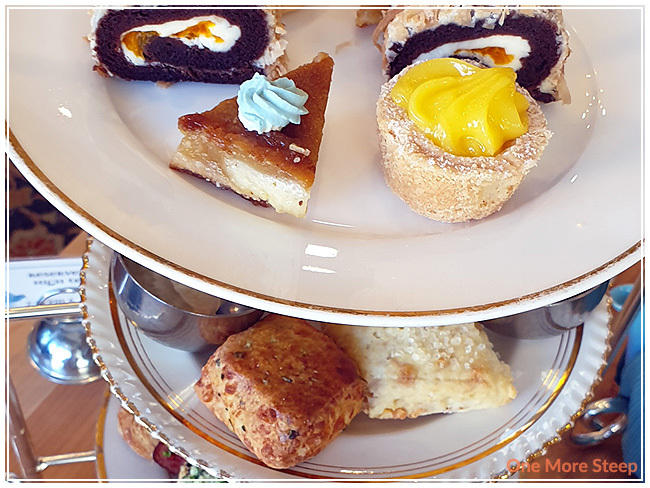 There are also vegan and gluten-free high tea options, at $40 per person, as well as a children’s menu at $25 per person. 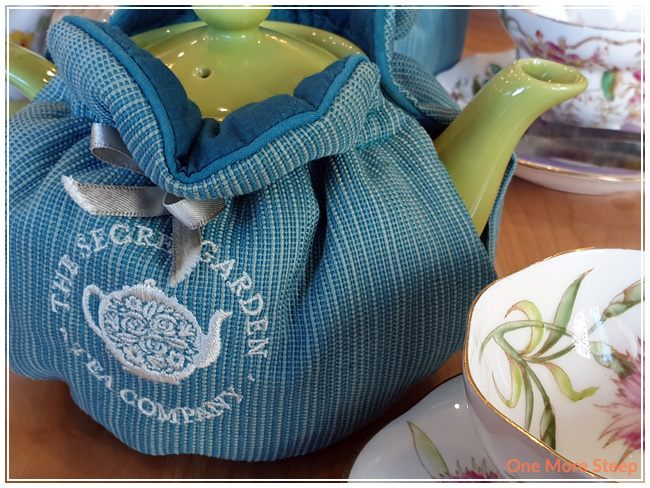 Both my friend and I selected different teas – we each got our own teapot that came nestled in a tea cosy that had The Secret Garden Tea Company’s logo and name embroidered on it. 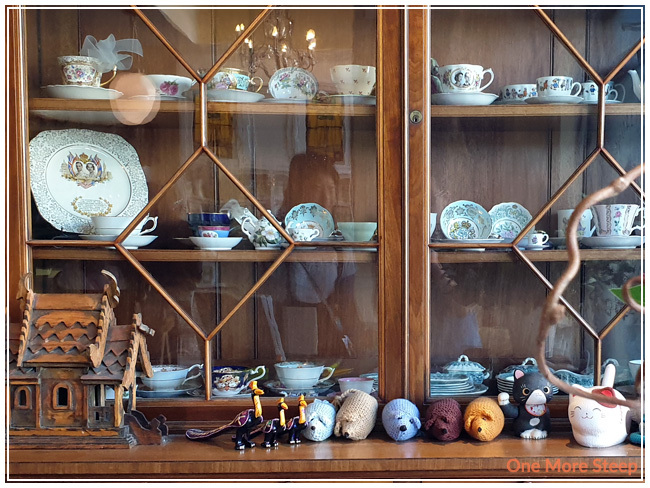 The place settings were tea cups and saucers that differed from each person, which added a sense of whimsy to it. The sugar cubes came in a tea cup with a pair of silver tongs – which I found to be just darling. For our tea selections, there was an extensive list of variations of Earl Grey, along with some non-Earl Grey tea choices.My friend opted for the Organic Creamy Earl Grey (black tea, bergamot, vanilla), which she told me was delicious. I had the Lavender Earl Grey (black tea, lavender from Provence, France, cornflower petals, and natural flavouring) because I’m just all about the lavender these days. The food arrived in a three-tier stand. The bottom being savouries, then the scones, and finally dessert. 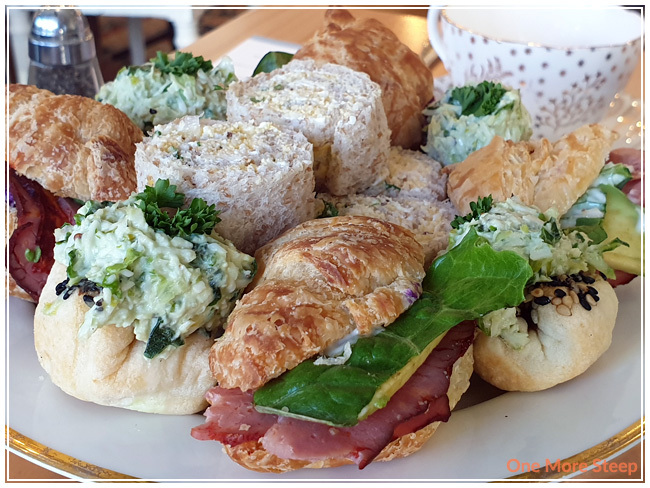 For the savouries, we had the Secret Garden Egg Pinwheels, Chicken Caesar Sandwiches on Butter Biscuits, and the New York Pastrami and Avocado on Mini Croissants. I found the Egg Pinwheels to be a bit low on flavour, I think it might have been better with some pepper. The open-faced Chicken Caesar Sandwiches on Butter Biscuits had some great flavours, but I think the star of this tier would have to be the New York Pastrami and Avocado on Mini Croissants. Mostly because the kitchen selected some perfectly ripe avocado to go into those delicious little sandwiches, the balance between the pastrami and the other ingredients was just perfect. 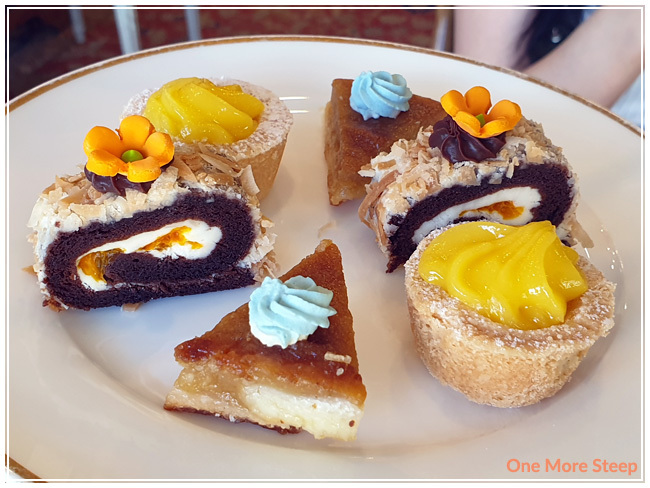 I felt that the savoury tier was quite generous – for each of us there were 3 Pinwheels, 2 Butter Biscuits, and 2 Mini Croissants. The scones tier was quite fun. 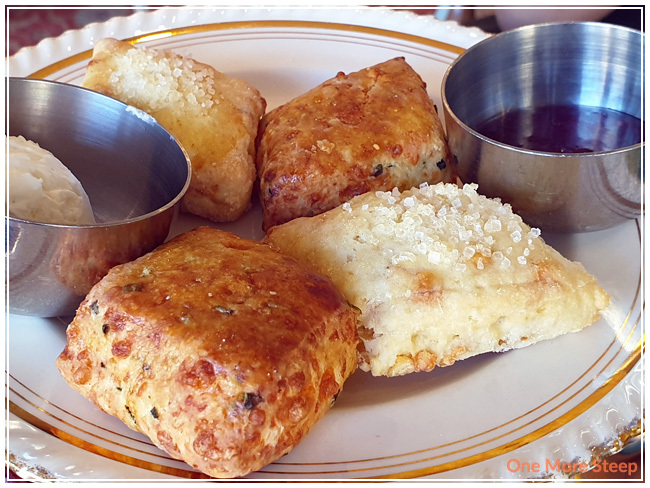 There was the Petite Fruit Scone, which was paired with the Raspberry Jam and Devonshire Cream, and a Savoury Chedder Cheese and Chive Scone. I thought that the Petite Fruit Scone was delicious with the sugar crystals baked into the top. But my favourite would have to be the Savoury Cheddar Cheese and Chive Scone. It was heavenly and I’m still surprised at the fact that I enjoyed it more than the sweet option since I’m normally all about the sweets. Finally – the sweets! There was the Tangy Mini Lemon Tart – I had this one first and was a bit let down by it. I’m a huge fan of lemon curd, but I found that the ratio of lemon curd to tart crust was just a little bit off for me. I think a thinner crust would have suited me better, but that’s one non-foodie’s opinion! Then there was the Chocolate Coconut and Mandarin Roulade Cake which I found to be rich and delicious. The toasted coconut on the outside provided a light crunch, while the chocolate cake was just oh-so-rich. I definitely made happy noises when eating it because it was just that good. Last, but not least, was the Maple Pie with Vanilla Chantilly Cream. While I was a little bit confused by the blue-grey colour of the vanilla chantilly cream, the Maple Pie itself was tasty. It had a great maple flavour without being overly sweet, which is probably no easy feat since maple syrup is practically pure sugar. My favourites from the sweets tier would have to be the Roulade Cake and the Maple Pie. 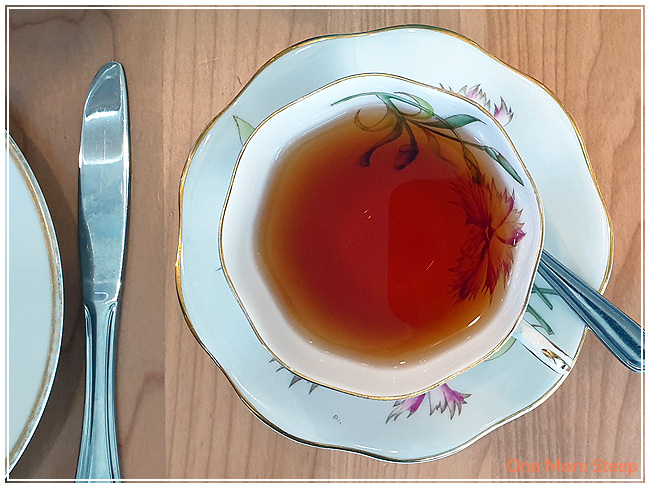 I had a wonderful time at The Secret Garden Tea Company, and I can see why it’s a favourite for afternoon tea in Kerrisdale. Their branding is on-point and well represented throughout the darling shop and dining area, and I love the fact that they offer seasonal menus to change it up and allow patrons to read over the varying menus on their website. 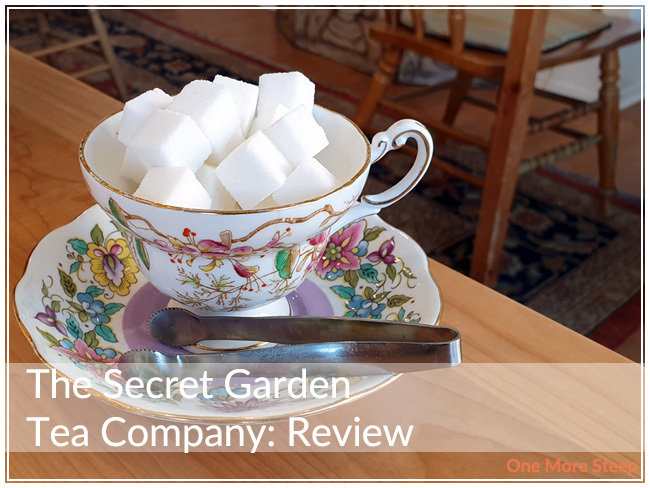 The service from the ladies working at The Secret Garden Tea Company on the Monday that my friend and I went was top notch – starting from the hostess who greeted us at the door to the knowledgeable server who was able to offer her thoughts on the different Earl Grey options. 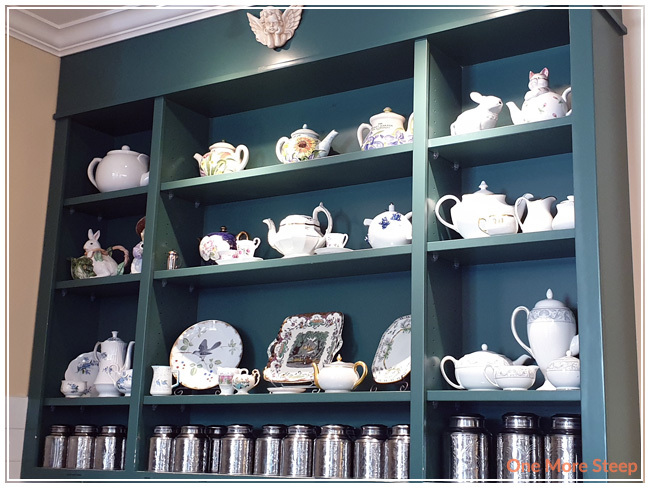 It’s a lovely spot in Kerrisdale to go in for tea, and they even offer High Tea daily at three different serving times! I would definitely go back for tea the next time that I’m in the neighbourhood.